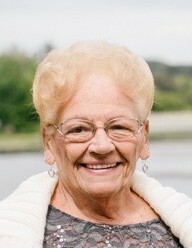 Doris L. Hart (Hornung), age 88, of Forked River passed away peacefully Thursday, September 6th at the home of her son and daughter-in-law surrounded by her loving family. Doris was born on November 28th, 1929 in Newark, NJ. She married the love of her life, Kenny, on November 24th, 1951. Two sons, Kenny and Kevin, who thought the world of her would follow. Doris will be greatly missed. She was also predeceased by her brothers John and Harold Hornung. Doris is survived by her sons, Ken and wife Sharon, Kevin and wife Donna, grandchildren, Ryan and fiance Erica, Bridget and husband Craig, Kelsey, and Cameron, Sister Carye-Belle Dragonetti, and brother Ralph Hornung and many nieces and nephews.